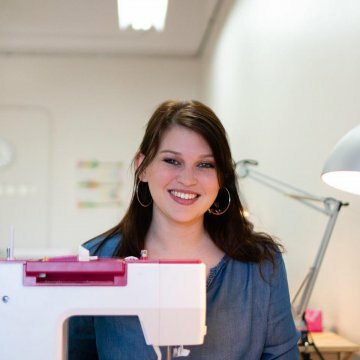 Megan Whitney founded Urban Sewciety in the fall of 2015. She began crafting as a young child, trying her hand at every craft she could get her hands on, including knitting, crochet, watercolor painting, and sewing (which quickly became her favorite thing to do!) Megan attended Lehigh University and earned Bachelors and Masters degrees in Civil Engineering, then worked in commercial construction for 9 years. 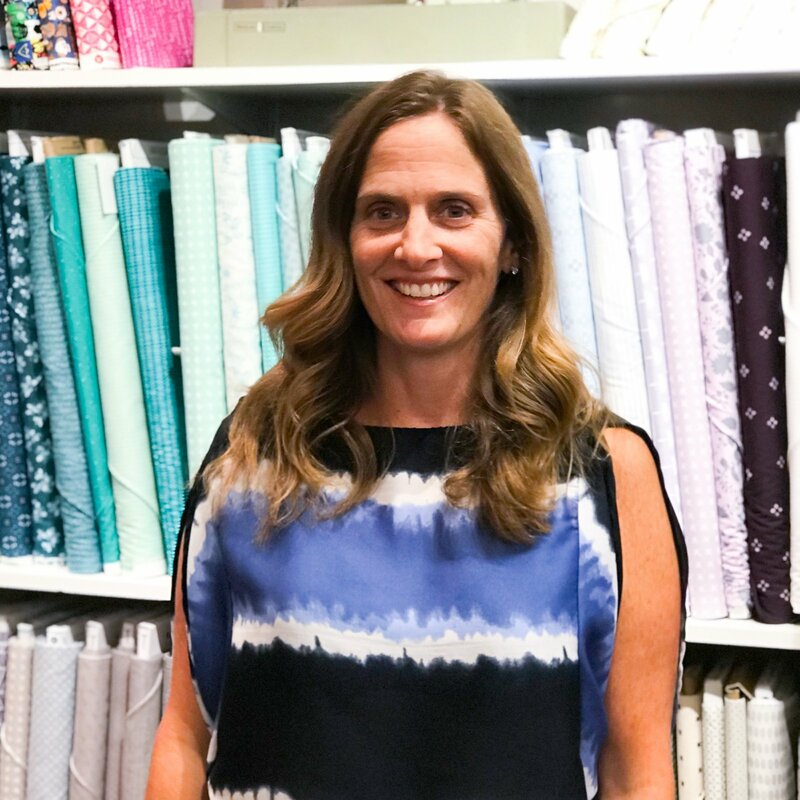 Upon leaving the corporate world in 2007 to be a stay at home mom, Megan soon realized that having a creative outlet was going to be key to her survival while raising three young daughters, so she dug out her machine and dove back into sewing. Soon after, she opened an Etsy shop and sold her creations online, then started teaching sewing in her home. 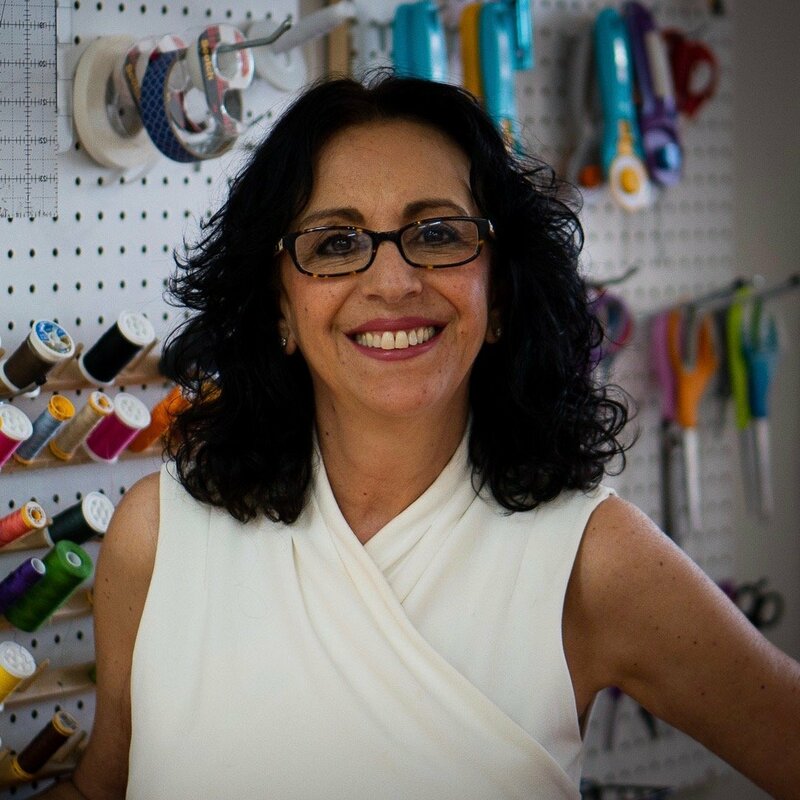 In 2015 she opened Urban Sewciety in a teeny tiny studio space in Westfield, NJ. Just one year later, she teamed up with Megan Sawyer and expanded to the current location. Megan can’t wait to get to work every day to share her passion for creating beautiful things with kids and adults every day. Megan Sawyer is a life-long resident of Cranford, NJ with a Masters degree in Family and Consumer Science Education from University of Nebraska-Lincoln. She learned to sew from her grandmother at the age of ten years old. In high school she took every sewing class offered, then continued developing her sewing skills in college - when she wasn’t studying, she was sewing! 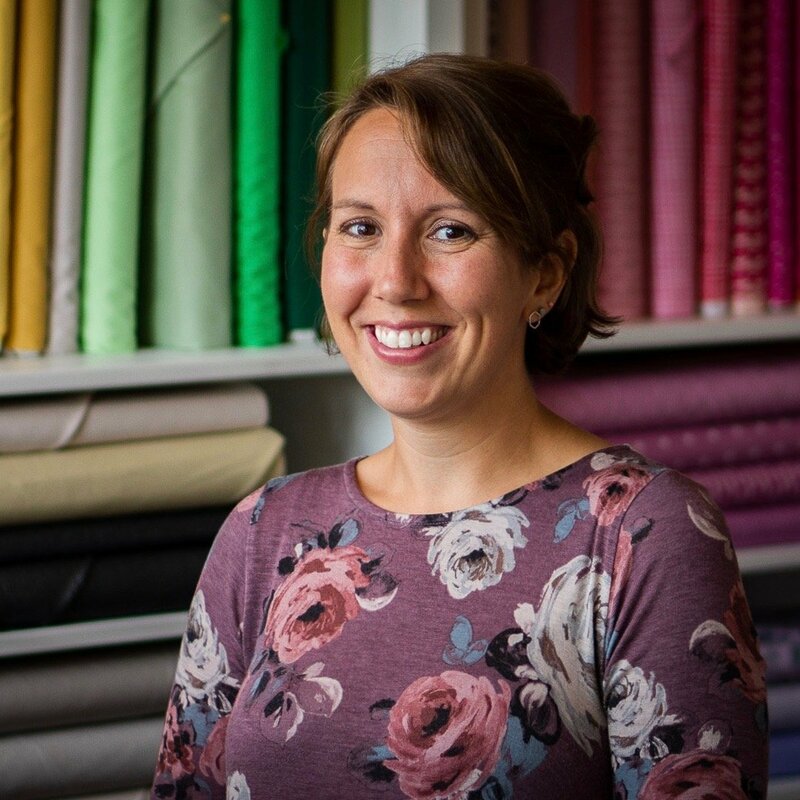 Megan began teaching sewing in her hometown and at various schools in New Jersey as a side gig. In 2016, she became an instructor at Urban Sewciety. The two Megans soon realized they made a great team and joined forces, becoming business partners in October 2016. They expanded to meet the growing demand and moved to the current location on South Avenue. 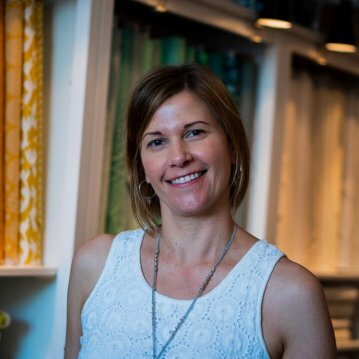 Megan can be found in the studio teaching the kids' after school classes, hanging with the Quilting Club on Wednesday nights, and designing projects for kids' and adult classes. Currently her favorite thing to sew is anything involving paper piecing! Meg Fahrenbach was born and raised in Westfield. She began quilting when she was 5 years old, helping her Gram hand stitch quilts on a handmade quilting frame. 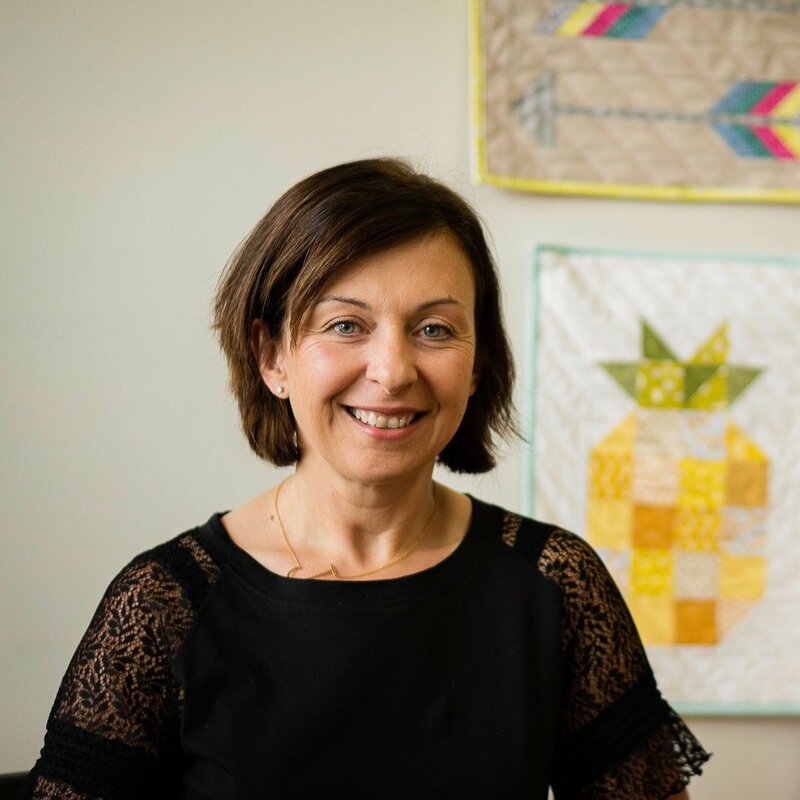 Meg’s love for textile arts grew from there, and she pursued her education in the visual arts at The School of the Museum of Fine Arts at Tufts University in Boston. She began her career as an early childhood teacher, but Meg’s life turned down a different path as her family began to grow. She began knitting professionally, as well as designing her own embroidery patterns. She eventually found her way back to sewing and quilting, and before long it was clear that this was Meg’s calling. Meg teaches quilting and embroidery classes for adults workshops, She encourages students to find joy in the process of the craft no matter their sewing level. When she is not spending time attempting to spread her love of all things sewing and color, she can be found coaching youth sports, gardening, or adventuring with her three daughters and husband. Julie Horne studied Fine Arts with a theater concentration at Ramapo College of New Jersey. She spent several years working as an event planner for a NYC charity before becoming a stay home mom of 4 in Cranford. She has taught children’s theater classes, served as a Girl Scout Leader and PTA Board Member where she always tried to inspire creative thinking. Julie has been sewing off and on for many years until she made her first quilt a few years ago and she hasn’t put her machine away since. She loves challenging herself with new quilting techniques and also makes clothes, bags and other fun projects and gains much inspiration from her S&B Quilting Club. Her favorite part of teaching the kids is seeing the smile and sense of pride when something they’ve patiently worked on is finished. Julie comes from a large family of talented crafters and credits her love of sewing to her mother and grandmother. Carmela Resnick is a graduate of Montclair State University with a teaching degree in Home Economics. She began her career as a children’s designer and merchandise manager working for several major commercial pattern companies for 20 years. She has taught sewing lessons to children and adults at Sears Sewing School, Fabricland and The Exploration Studio. Carmela has had extensive experience working with children of all ages through her volunteer work as a Cub Scout leader, Girl Scout leader, PTA committee member, REP theatre parent and Interact advisor. She has also studied various mediums of art for 15 years and currently continues to paint, exhibit and sell her art work as well as give sewing instruction to adults and children of all ages. Carmela's energy, spirit, and passion for everything crafty is evident each and every time she's in the studio! Cathy Kanterman graduated University of Delaware with a Bachelor of Science in Human Resources then continued on to Monmouth University where she graduated with a Masters in Elementary Education. She taught for several years before becoming a stay at home mom of 3 children. She has tutored, chaired several PTA events, and was an in home childcare provider. Cathy enjoys doing a variety of craft projects and enjoys incorporating sewing in her projects. Her love for sewing comes from her mom, and is grateful that they get to share the love of crafting, sewing and quilting. Cathy feels very fortunate to be able to incorporate her love of sewing and teaching here at the studio. When Cathy is not in the studio, she enjoys being with her family, watching her children at their sports events, working in her vegetable garden, running, biking and going to the beach.